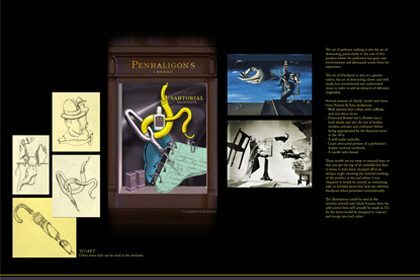 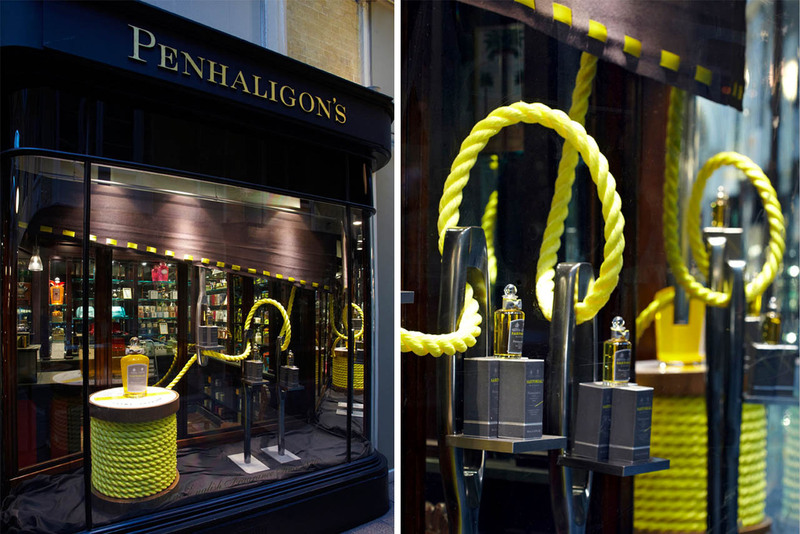 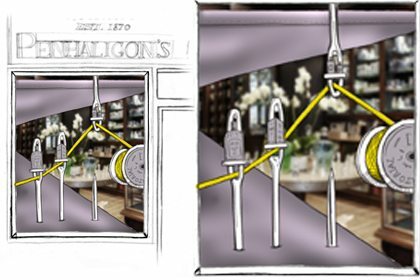 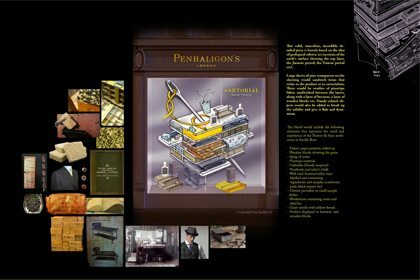 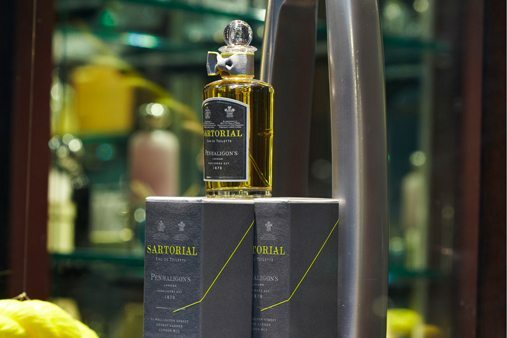 Prop Studios were commissioned by Penhaligon’s to create an engaging window scheme to launch their newest fragrance, ‘Sartorial’. 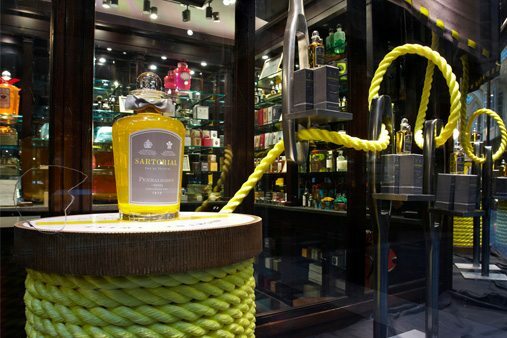 Bringing together the great traditions of British perfumery and British bespoke tailoring, Sartorial is a fragrance for a new generation of gentlemen. 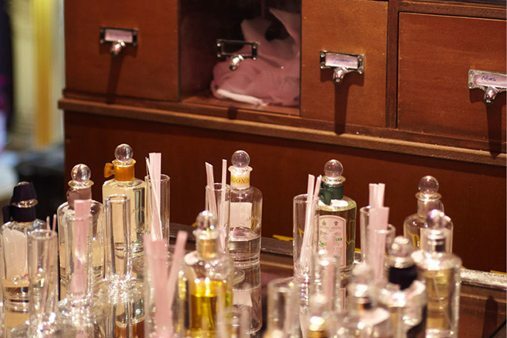 We placed the fragrance’s inspiration at the heart of our design concept. 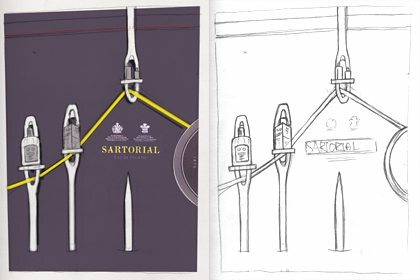 We created a scheme that was based upon the Savile Row bespoke tailor Norton & Son’s workshop by using oversized needles, threading and fabrics alongside giant cotton reels. 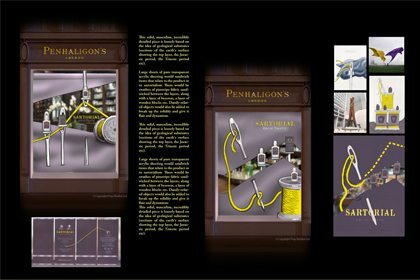 Giant cotton reels are flanked by oversized needles. 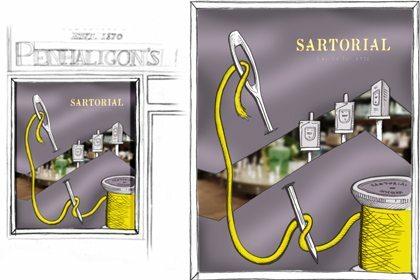 With a contemporary take on artisan craftsmanship in mind – we wrapped the reels with neon yellow rope and used long lengths of grey suit fabric and threaded yellow silk ribbon along the edges. 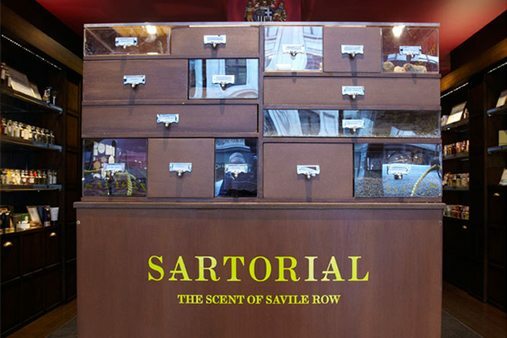 We also created a travelling scent box cabinet, along with the window scheme, which was rolled out across 13 stores.